Chocolate chip cookies and I have had an interesting relationship. They are my favorite type of cookies and I love to bake them, but I used to be terrible at it. I was constantly trying new recipes in effort to make up for the disappointment of the last batch I made. I made a lot of “flying saucers” back in the day, a.k.a. really thin, spread out cookies with chocolate chips sprinkled on top, barely submerged in what should have been chewy goodness. It wasn’t until I received a Betty Crocker cookbook from my dad (he knows I love to cook!) for Christmas a few years ago that I overcame my inability to bake a chocolate chip cookie that actually resembled a cookie. I tried Betty’s recipe with the same hopeful approach as any other new recipe in the past and discovered this one was pleasantly different. When I took my first batch out of the oven I no longer had flying saucers, but actual cookies! Leery that this was pure luck and just a sign of encouragement, I gave this recipe another try the next time I made cookies. Again, no flying saucers. Cookies. 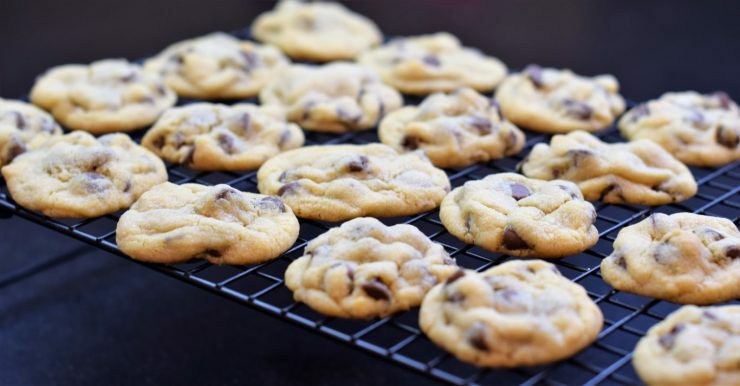 Delicious, chewy cookies. Since this miraculous discovery, I swear by this recipe and haven’t even considered trying a new one. 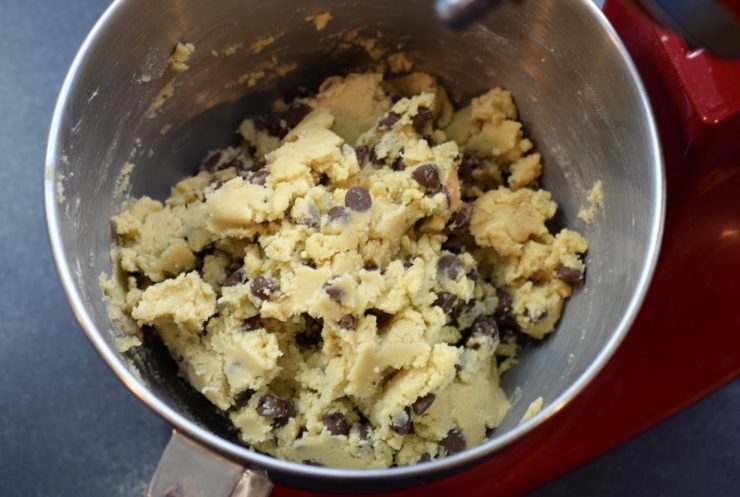 The real key to making great chocolate chip cookies is softened butter. Ideally, let the butter sit at room temperature before baking to achieve the perfect softness. If you are in a hurry, you can microwave it, but be very careful not to let it melt. I would try 15 seconds; if it’s still too firm, give it another 15 seconds, but don’t exceed 30 seconds. 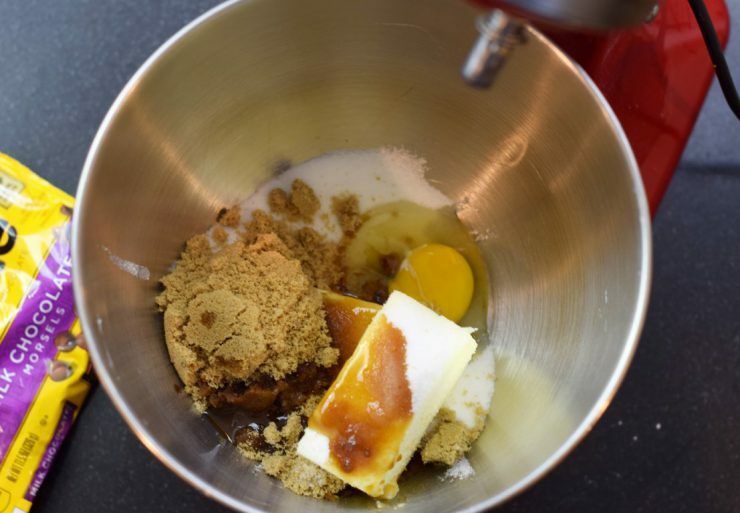 Once you have softened butter, add granulated sugar, brown sugar, an egg, and vanilla and mix. Then add in flour, baking soda, and salt. Mix until just combined. 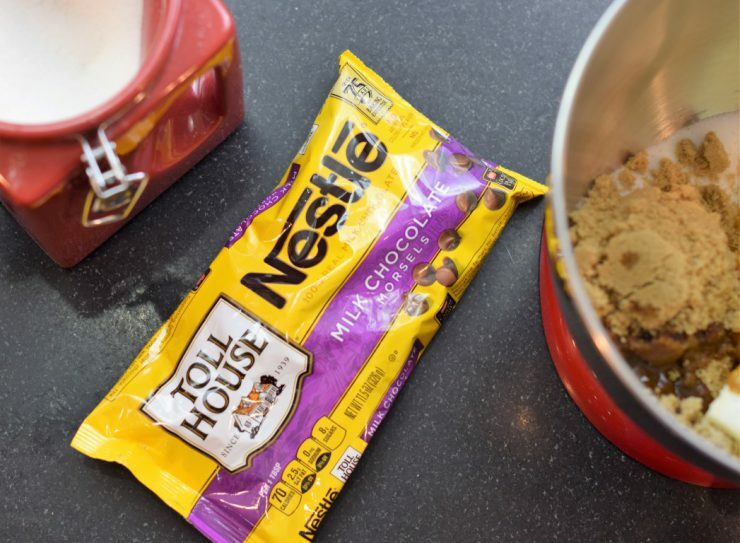 Fold in one package of chocolate chips. Yes, one full package. There’s no need to skimp on the chocolate. Scoop dough by the teaspoonful onto an ungreased baking sheet. Be careful not to make these too big to avoid the dreaded flying saucers. 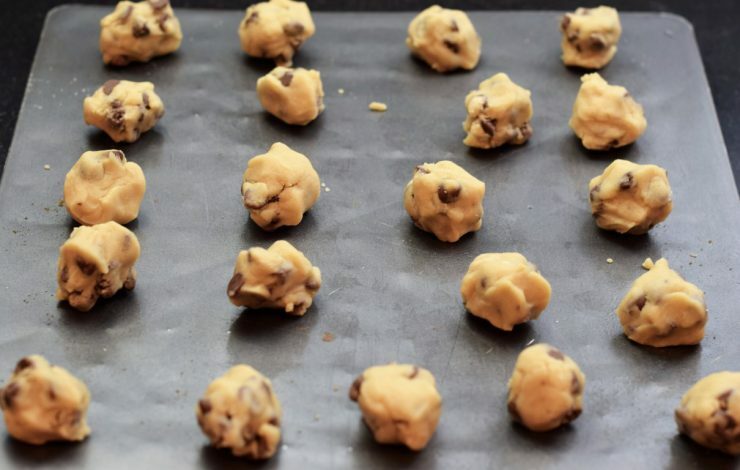 Bake and let cool on a cooling rack before digging in! While I feel like I’ve found “the one,” I am curious to hear about other good recipes out there that have been tried and tested and used frequently! 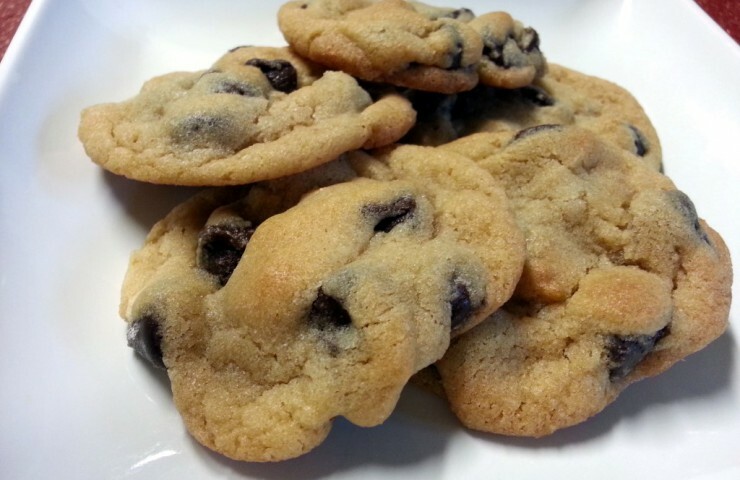 Or maybe you know of some other tips to making the perfect cookies – please feel free to share!